This set is well suited inside a coffee shop on a busy high street. 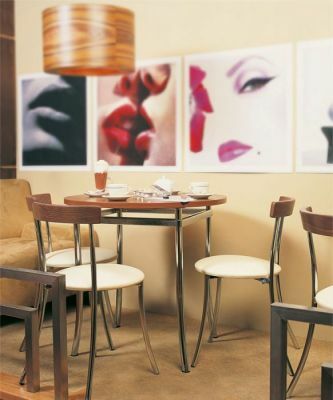 Stylish with a Chrome frame, Imitation Leather seats and the table comes in a choice of Werzalit finishes. Anca bistro sets are manufactured in Europe and are passed for heavy duty commercial use. This Bistro set is available on a 4-5 week lead time. The bistro chairs are assembled and ready to use and the café table top for the Molino café table is delivered separately. 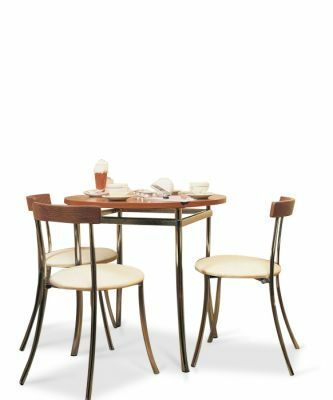 Please contact our sales team for further information on this Bistro set.